“This is waaaaaaay better than I thought it would be.” –Middle school student after tasting the recipe they prepared during a Food $ense summer school activity. This summer, Food $ense is partnering with the Highline School District to provide nutrition education for summer school students. F$ educators are working with third graders at Hazel Valley and Madrona Elementary Schools, as well as students at Sylvester, Chinook, and Pacific Middle Schools. Students receive daily lessons from a research-based curriculum, play nutrition-themed games, and are encouraged to be physically active. The most exciting part of the lesson for many students is preparing delicious recipes like Homemade Hummus, Fruit and Veggie Faces, Apple Cheese Bagels, Green Smoothies, Fried Rice, and Crunch Veggie Wraps. This keeps the learning fun and engaging on warm days. 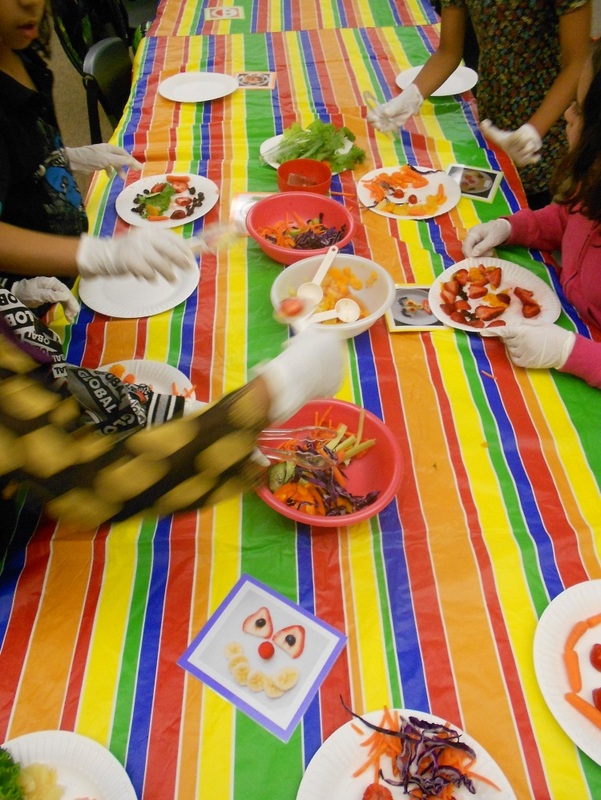 Many students have already expressed how much they enjoyed the chance to practice cooking skills and learn more about preparing food at home. 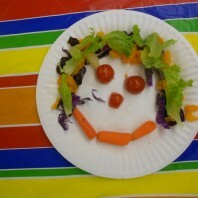 One comment from a student made the nutrition educator’s day. 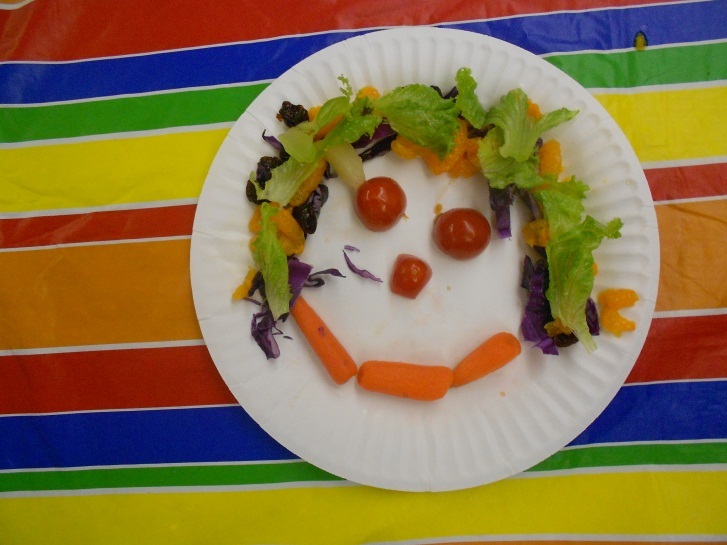 The student said “I could make this at home and add different veggies that I like.” Thank you to the students and staff at Chinook, Hazel Valley, Madrona, Pacific, and Sylvester for making our summer school efforts possible! 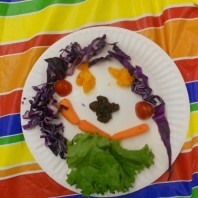 Students created fruit and vegetable faces as an healthy and fun snack. 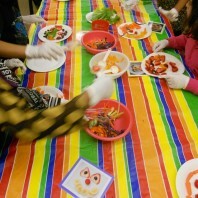 Students line up to choose the fruits and vegetables they like for their faces. 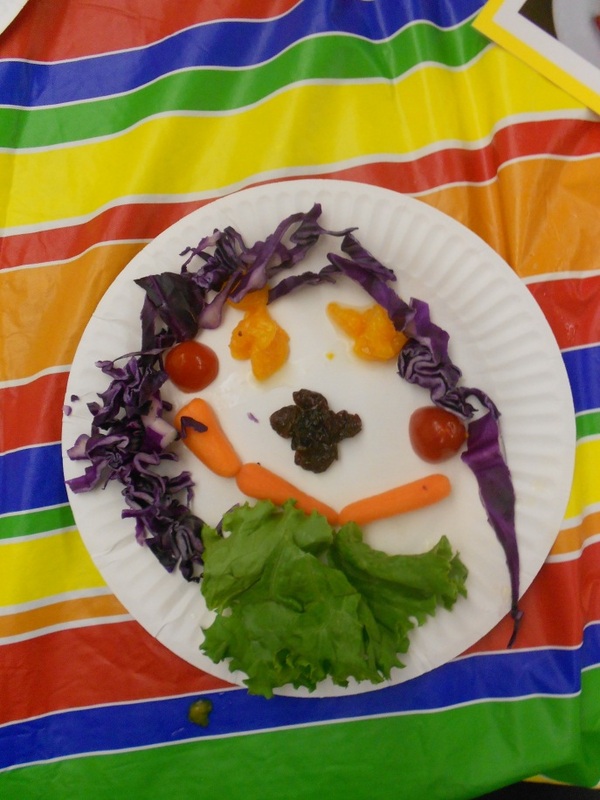 Some students got very creative with their fruit and vegetable face art! For more information, please contact Jen Hey.